Please take a minute to applaud yourself! Here are the Family Pantry statistics for 2018. Families from across the Cape and the Islands are better off because of your generosity. Over 640 volunteers make all of this possible. 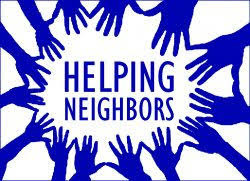 They donated the equivalent of $2,200,000 in their time and talent to take care of 9,500 neighbors in 2018. Our volunteers are unbelievable and you would understand how we can do what we do when you watch them in action. 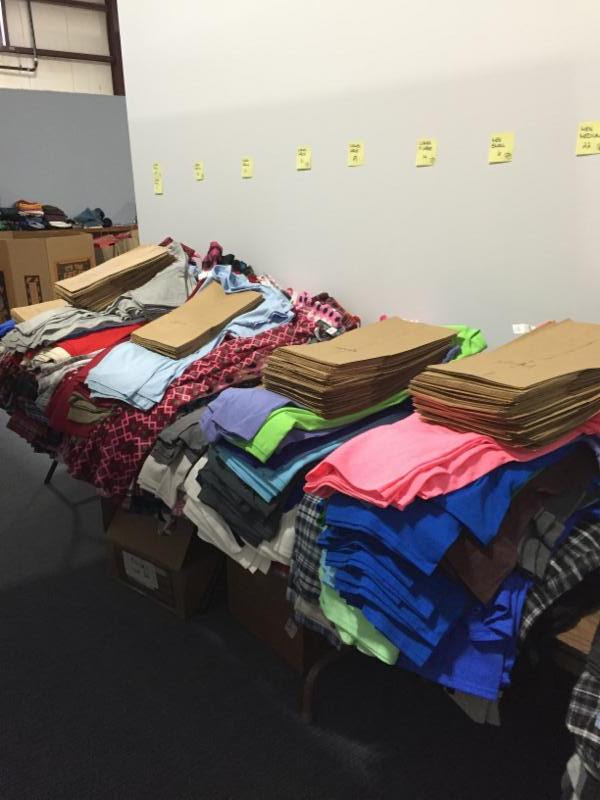 They meet the challenge of feeding and clothing those in need with a smile on their faces, a sense of humor and an enormous willingness to support the Cape community. 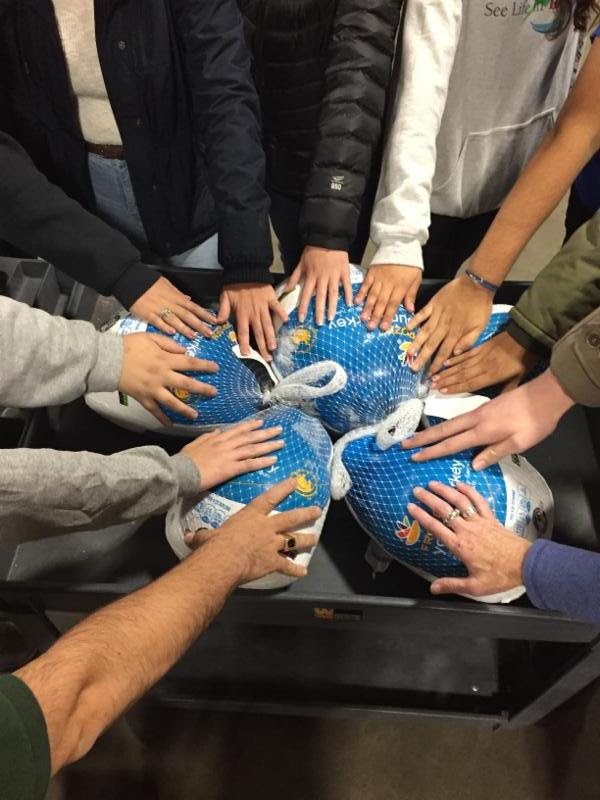 We also are very happy to report that almost 25% of all the food we distributed was fresh produce provided by the Greater Boston Food Bank and our own locally grown goodness. Healthy eating has an incremental benefit to the entire community and we are grateful to be able to improve the health of our clients by providing the highest possible nutrition. All of us at the Pantry wish you a happy, healthy and peaceful New Year! We are humbled by your support and we are grateful to be able to provide for all of the people who could use a little help during the year. 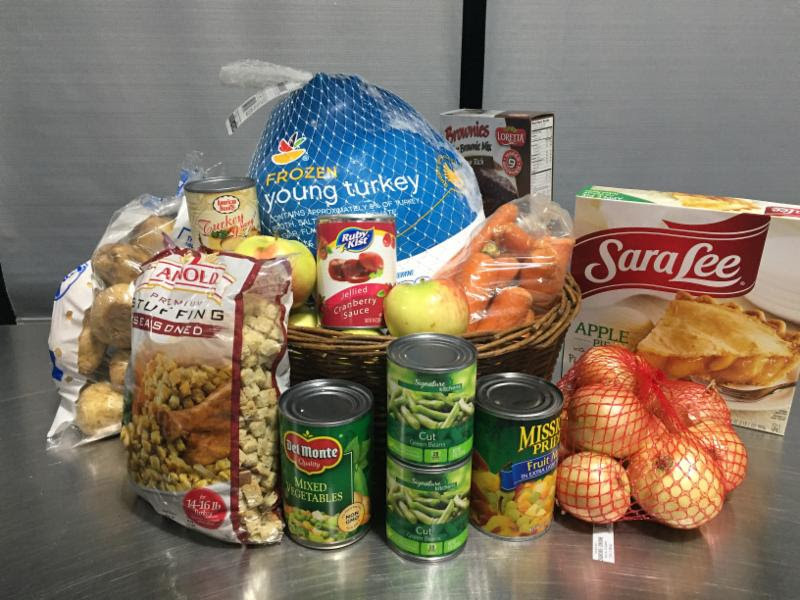 Pantry clients receive all the fixings for Thanksgiving dinner! 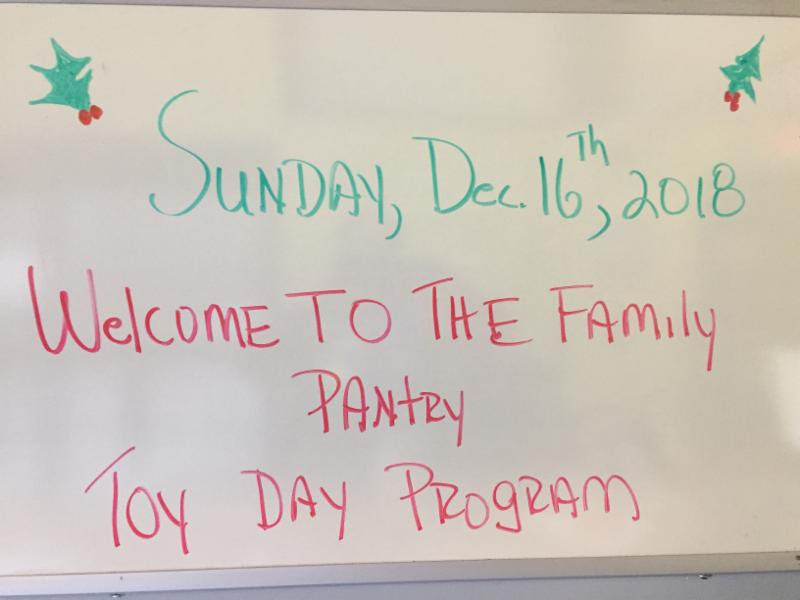 We were so pleased to be able to provide, toys, games, puzzles, pajamas and mittens for 1,000 Pantry children during our annual Toy Day. The closing of Benny's and then Toys R Us, left us feeling a little unsure about the program; however, as always, the community came through. 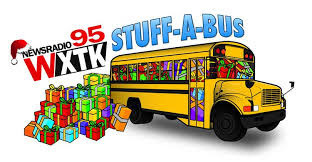 Partnering with Toys for Tots, the "Stuff a Bus" and countless individual donations made it possible for hundreds of Cape children to have a bright toy filled Christmas. 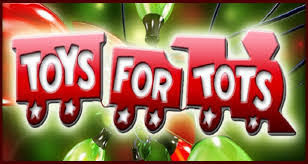 Thank you to our many donors and of course to all of our volunteer "elves" for pulling off another great event. The 2018 Holiday Elf Team - What an extraordinary group of people! 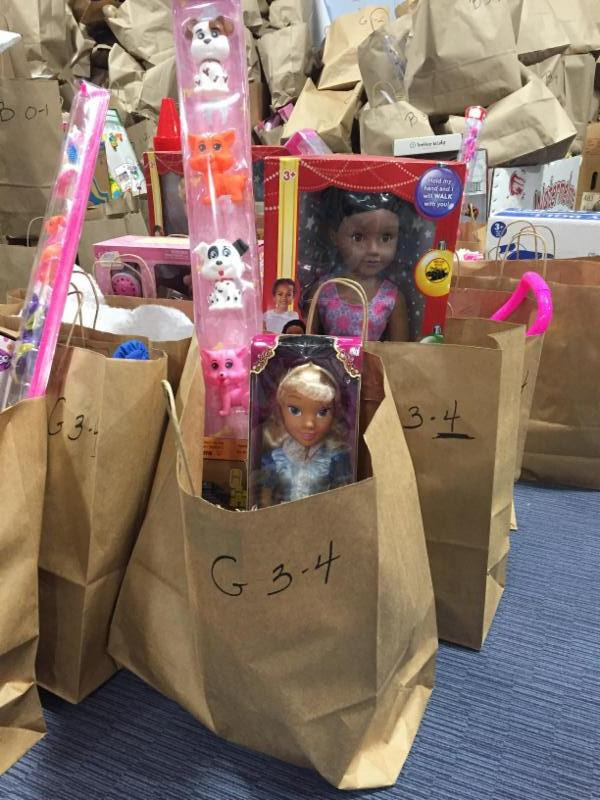 Homeless for the Holidays provided 1,100 toys, over $6,800 in funds and 1,620 lbs of food. Thank you to all who braved the cold weather to make this event a huge success. 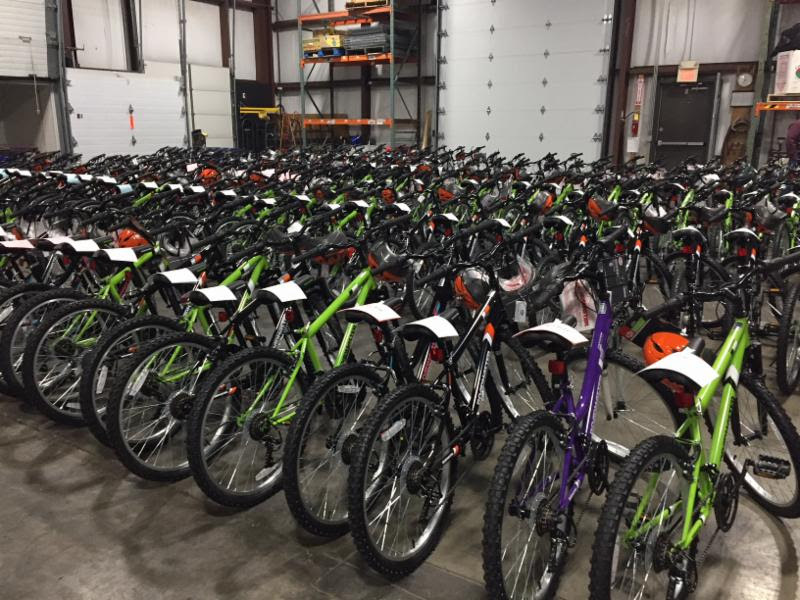 The Armbruster and Gardner families donated 50 bikes each to the annual Toy Day bike raffle. Dennis Cycle Center sourced and built the bikes for the 2nd year! 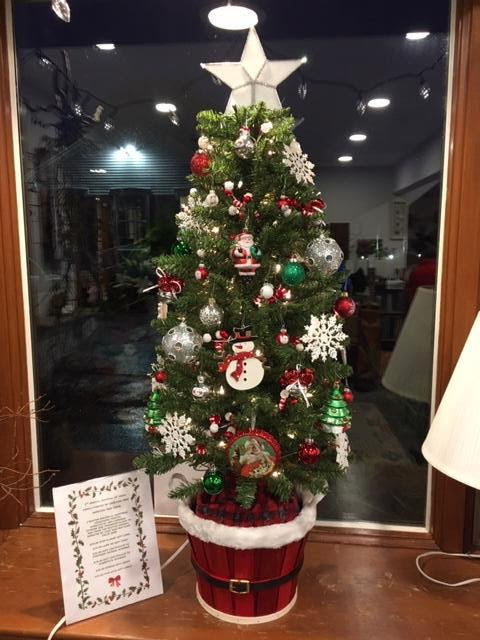 White Flowers of Harwich Port hosted the second annual "Festival of Trees" during the Harwich Christmas Stroll and raised over $5,000. Volunteer, Mary Brophy created the Family Pantry entry which included Bruins tickets (courtesy of TD Bank), transportation to the game courtesy of Cape Destinations and a number of gift cards. Thanks to all for making this event such a success! So Many to Thank..... Here are a few! 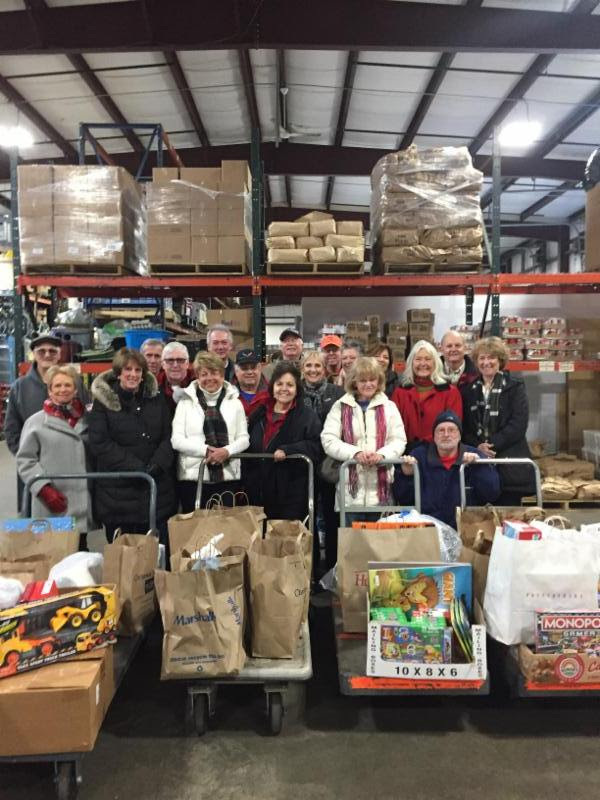 The Harwich Chatham Newcomers Club held a food and funds drive for The Pantry. 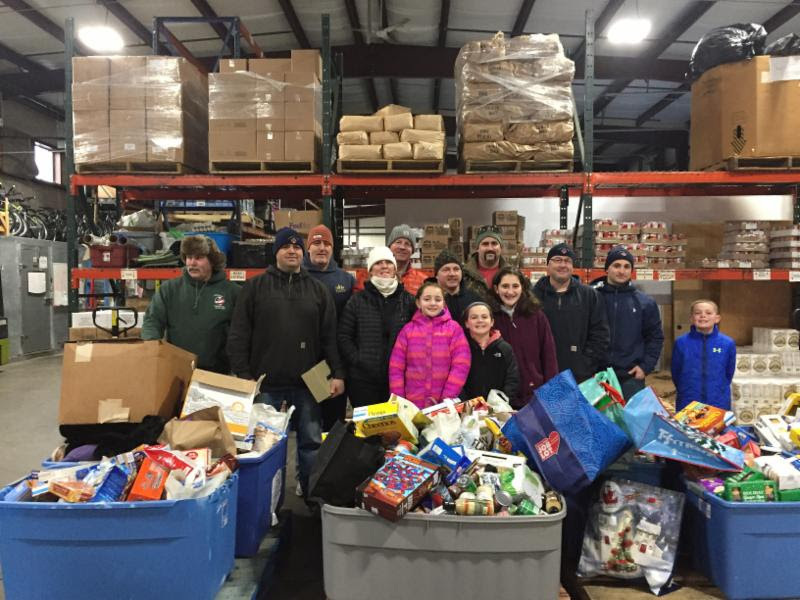 They contributed over $3,000 and 1,500 pounds of food, well done! 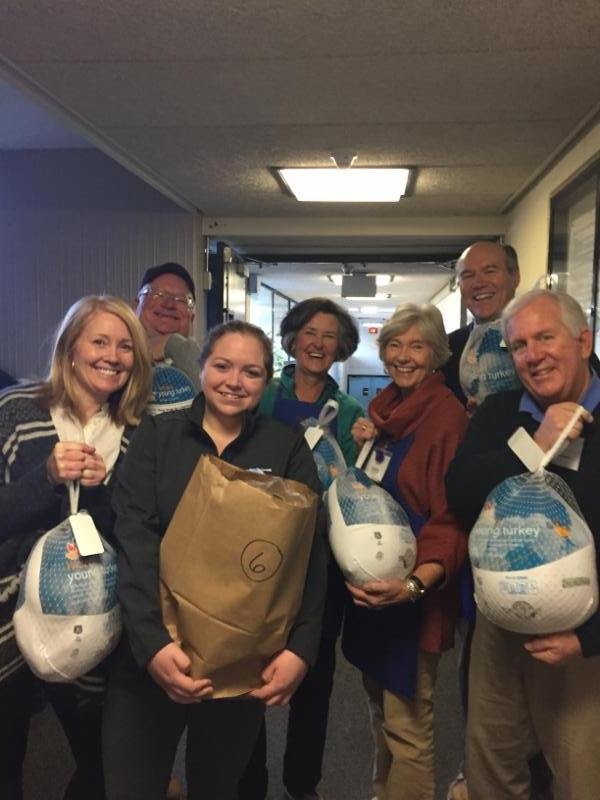 Turkey Day Sponsors - Chatham Wayside Inn, Paula Carroll, Paul Covell, John Our, Robert Chamberlain and The Rotary Club of Harwich Dennis. 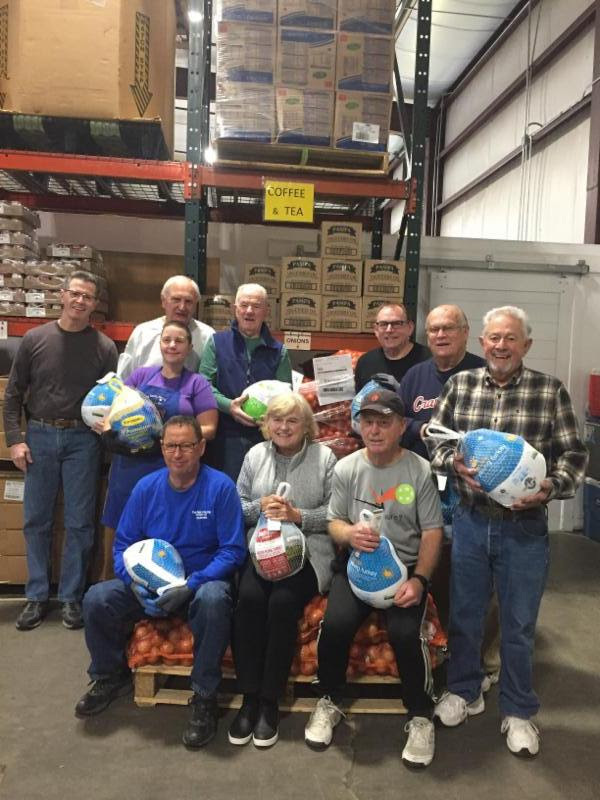 This group of generous people came together and provided 400 turkeys for the Pantry's annual Turkey Day! So Nice, Thank You!! 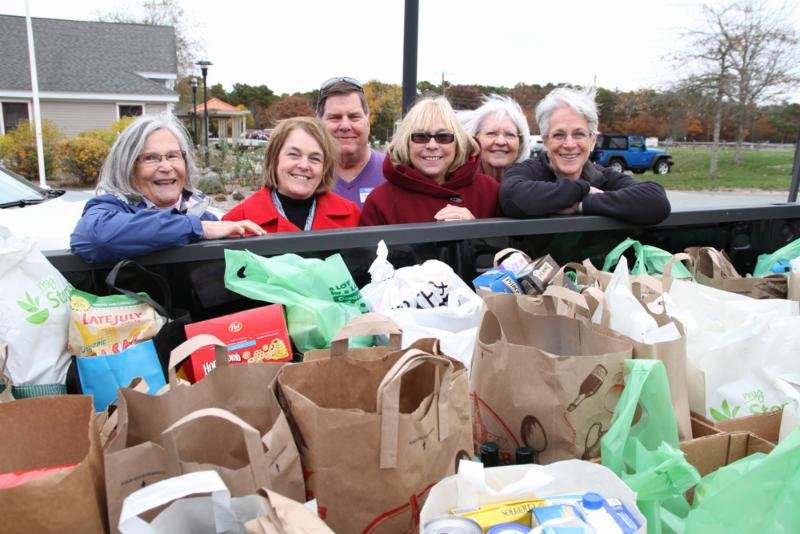 The 27th annual Cape Cod Chronicle Winter Helping Neighbors campaign raised over $40,000 this holiday season. 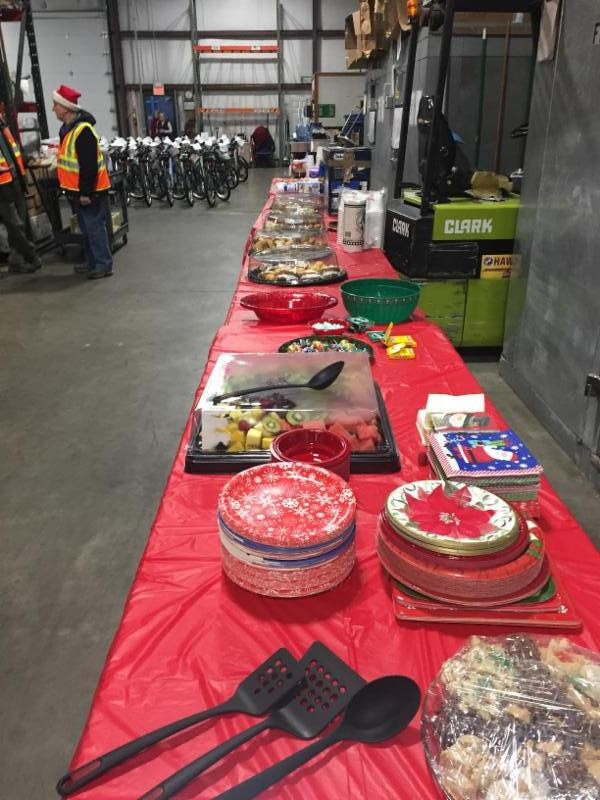 Hank Hyora, the Chronicle team and the community once again came through during the holiday season. Thank you one and all! 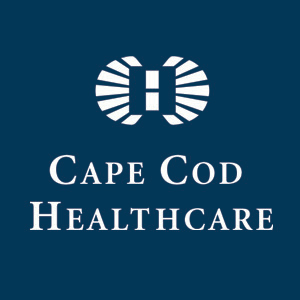 Cape Cod Healthcare has generously donated $25,000 to support our Healthy Meals in Motion Mobile Pantry. The Mobile Pantry ensures that our senior citizens and families are able to access The Pantry. Thank You for your ongoing support! The Pantry was awarded the Great Expectations Fund of The Cape Cod Foundation. 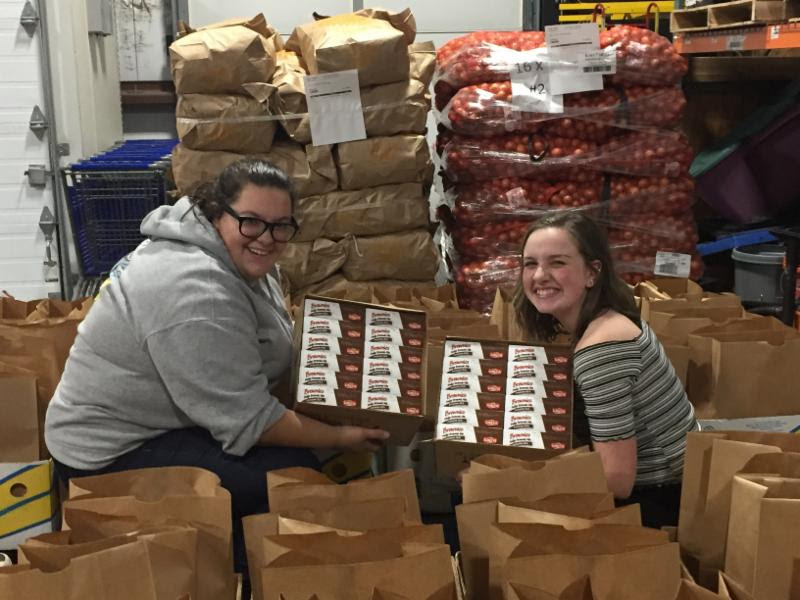 The $5,000 grant will be used for general support and will provide over 20,000 meals for those in need! Thank You So Much! 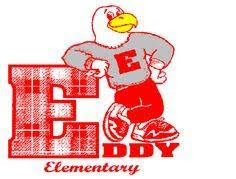 The Eddy Elementary School food drive raised 1,000 pounds of food. One student raided his piggy bank to help the cause. So impressive, thank you! 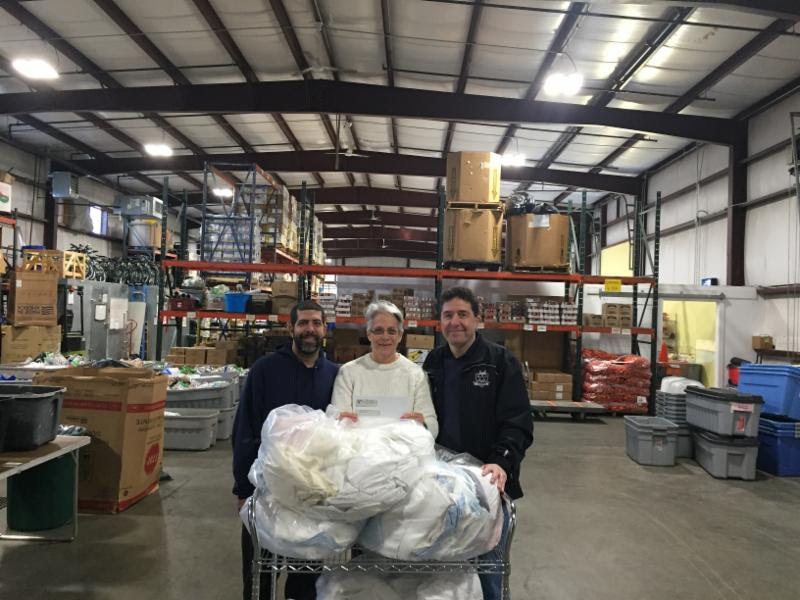 Steve Lam and Carlos Cacilhas of The Furies Cleaning Service provided gently used linens for Pantry clients and a donation that will feed 3,000 people. Well Done! 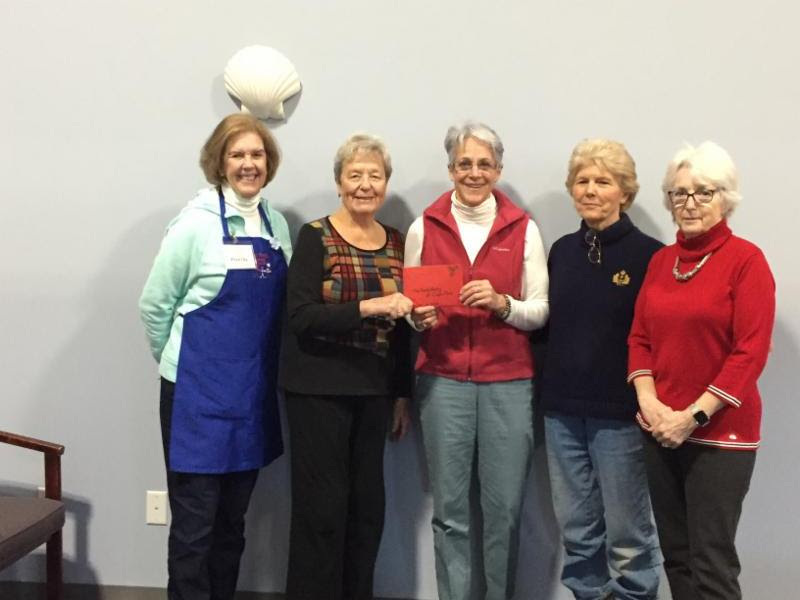 Priscilla Perkins, Gerie Schumann, Barbara Obrig and Linda Hampson of the Harwich Garden Club present Christine Menard a check to feed 3,240 people across the Cape. 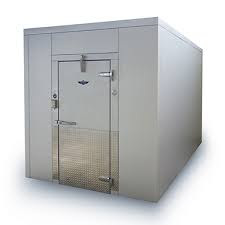 The Mid Cape Men's Club graciously agreed to fund the purchase of the new Family Pantry walk-in cooler. 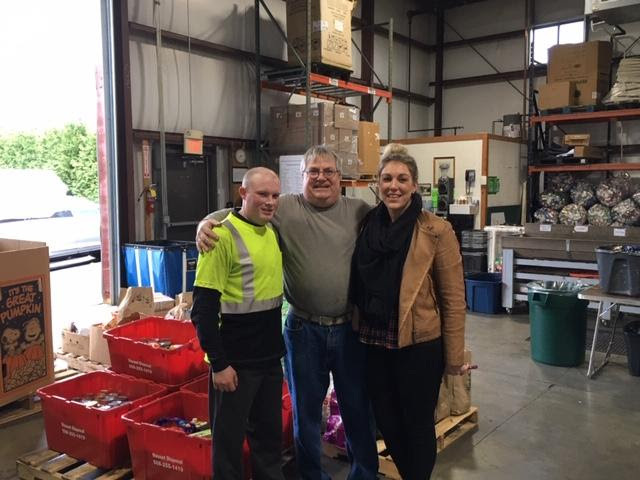 Their donation combined with a grant from The Greater Boston Food Bank makes it possible to provide up to 30% in fresh produce for our clients. There are immediate volunteer openings in the following areas. Please click the link below to submit your application to volunteer. Linda, the volunteer coordinator, will call you once she has received your application. She will set up a tour of the Pantry to discuss your interests.